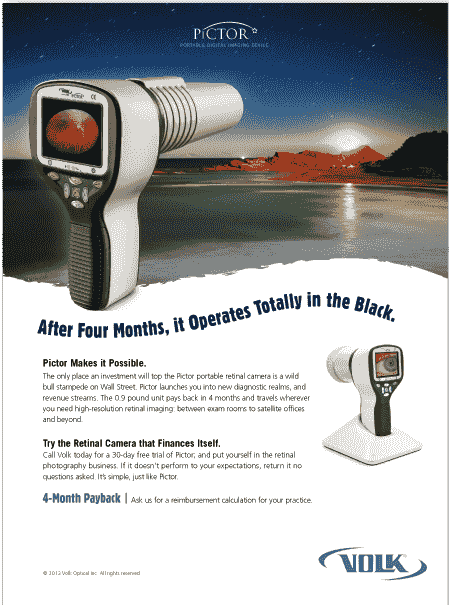 Volk, well-known for its diagnostic lenses, ventured into new territory by introducing the world’s first portable retinal camera. Ads emphasized its portable use and quick payback. The campaign generated 100s of leads and several dozen trial product placements.